The Warriors of the Sword is a family-oriented martial arts program with a DIFFERENCE! This karate system is taught by Christian instructors from a Christ-centered perspective. Come and experience the difference. Ephesians 6:17 "...and the sword of the Spirit, which is the word of God:"
We believe that the greatest training is our spiritual training with the Bible... God's Word! The Warriors of the Sword symbol above represents the approach of our system. What this patch means is very important to understanding why we do what we do. The Cross of Jesus - is behind everything that we do! The Bible - is our foundation for all spiritual Truth. The World - our goal is to reach the world for Jesus Christ. The Martial Arts - is one tool that we use to reach the world. Our program offers local martial arts instruction geared towards spiritual, mental and physical growth. 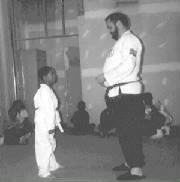 Students will learn karate, but there will always be a focus on Bible study, prayer and character development as well. We can also provide evangelistic outreach demonstrations and other ministry opportunities. For more information about these ministries, click on the link below and visit our Evangelism page. 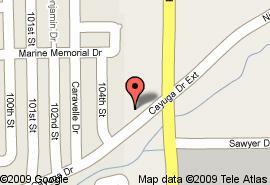 You are cordially invited to come and visit one of our training sessions. Please take your time and have a look at our web site. Don't hesitate to contact us if you require more information. We hope to see you soon. May the Lord Jesus Christ richly bless you! This is an old photo (1995) from the New York City - Two Coves chapter. 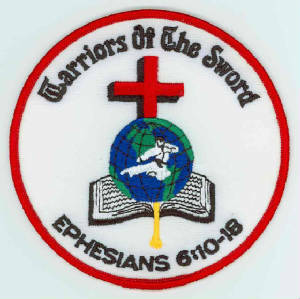 Donations will be made to ChristLife, Inc. ChristLife is the umbrella ministry covering of the Warriors of the Sword. ChristLife, Inc. is a 501(c)3 non-profit corporation. See bottom of this page for details. Donations by check or money order: make payable to ChristLife, Inc.
Give us your name and email address and we will send you periodic updates. FREE!!! Visit us and watch or try a class for FREE!!! All contents of this web site and available materials are copyright protected. © Copyright - Robert W. Dallmann - 2009 - 2018 - All rights reserved. An outreach of ChristLife, Inc.